It took a couple of days to excavate the dirt from my nostrils. Thousands of feet boogying in the bush and my nose didn’t want to miss out on the boogie action. My first trip to Rainbow Festival: far removed from the traditional heel and toe kind of bush dance. Removed even far enough from mobile reception, it was a pretty amazing escape into a world of electronic music, art, spiritual education, relaxation and healing in north-west Victoria. A local young bloke ‘supervising’ my tent erection surmised that I didn’t seem hippy enough. In his drunken honesty he pegged me for an office worker who drank champagne. Said he thought it strange that an ‘older lady’ like me would take herself to a festival and he was surprised that I was drinking vodka. Maybe I should have gone for the old crusty fisherman’s pants instead of the new ones mum gave me for Xmas. Stereotypes are a pisser sometimes. But I guess I was observing a few of my own in characterising the diverse crowd, ranging from the hippy and esoteric to steampunk, ravers, local townspeople and of course, the ever encroaching bogan. I was astonished that people I met who travelled all the way from Perth to this music festival were planning to spend the Sunday there listening to JJJ’s Hottest 100! I suppose it indicates that Rainbow is not just about the music. It’s the vibe and everything going on. Even an abundance of animal onesies. And regardless (or perhaps because of) the diversity of the crowd it was one of the most inclusive, friendly and whatever goes things I’ve rocked up to. I hope it manages to retain that vibe as its popularity grows. First year it was sold out, let’s hope it doesn’t sell out. While I merely had dirt up my nose there were other substances in other nasal passages. Ace music, two vodkas and a coffee kept me dancing till 3am (with a 2am hypo feed) but by Sunday night with no noise amnesty, too much sun and lacking chemical powered stamina I was getting a little Weary Dunlop. I’ve never been a big drug taker but now, even if I wanted to, it’d be hard to manage. There’s plenty of info for Type 1 diabetics about the impact of alcohol and how we need to be extra careful. But there’s unfortunately less info readily available about other drugs. I was chatting to a friend at a pool party at the weekend and she was sharing a story about her Type 1 cousin, who abstains from alcohol because he is highly aware of the dangers. Instead, he opts for other recreational drugs. And he’s been found unconscious a few times. So far he’s lucky. But apart from the universal warnings and disclaimers about illicit drug use, and the standard knowledge that monitoring blood glucose levels is potentially more challenging when you’re off your trolley, there needs to be more public info about the physiological effects of different types of drugs for Type 1s. I sit on the informed choice side of the fence. In any case my mind altering substance at Rainbow was an amazing meditation session. Quite unexpectedly, ropes were uncontrollably writhing and unravelling in my upper back and neck. There was a point where I simply couldn’t make (also didn’t want) it to stop. It was a major release and one of the trippiest things I’ve encountered as someone relatively new to deep meditation. It was a happy rainbow but I realised by Sunday night that I was missing the silence and serenity that I associate with the bush. I was craving the stillness so off home I went. Now I just need this damn heat to bugger off so I can get out hiking. Hmm, just read an article about a dude arrested for upskirting at Rainbow this year. Dickheads go everywhere I suppose. Hey, thanks for reading. All the best for your D-world too. 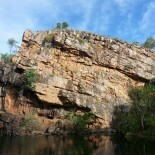 This entry was posted on 04/02/2014 by njd1insulin in Uncategorized and tagged blood sugar, camping, dancing, diabetes, drugs, hypo, insulin, music festival, Rainbow Serpent, Type 1.